Black out date: Buffet Lunch not valid on 28th Nov 2016. Located in Kothaguda, Chaitanya Family Dine is a multi-cuisine restaurant that serves Mughlai, Chinese and Continental cuisines. 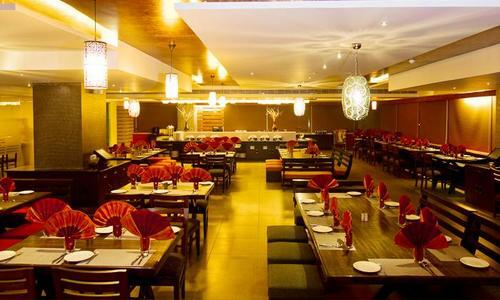 The restaurant sports a contemporary look with bright red table linen pepping up the ambiance. The suspended lights from the ceiling add to the mood of the décor. It can cater to up to 200 persons and the seating is spread across a large area and offers private dining area for large groups as well.